Small Sofa with High Level of Sitting Comfort. The Rest Studio sofa is a further development of the Rest sofa by Anderssen & Voll for Muuto. Living with little room is a growing trend. More and more people live in cities, where space is a precious resource. Little living room requires a specific type and size of furnitures. 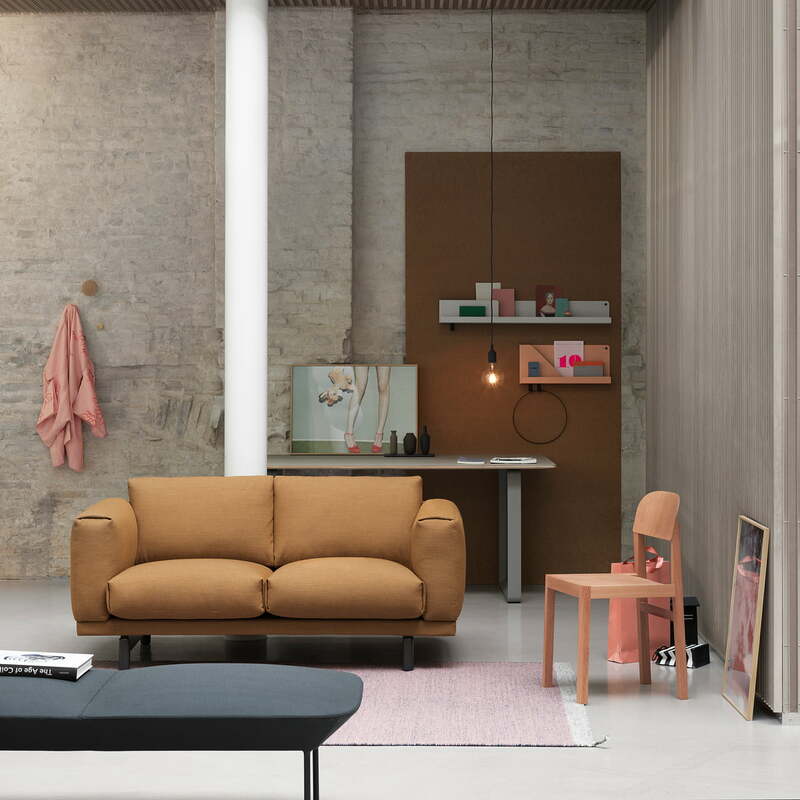 The Studio sofa of the Rest Series with a seat of only 1.60 m is ideal for small rooms. In addition, the sofa can be combined with other seating furniture, without that the space is crowded. Despite the reduced size, the seat of the sofa offers enough space to relax on in a comfortable and welcoming way. The sofa’s upholstery is filled with sturdy CMHR foam. The fabric by Kvadrat can be simply removed for cleaning or when being damaged, with the help of a zip. The frame of the Rest Studio Sofa is made of steel, the visible part of the frame consists of natural oak. 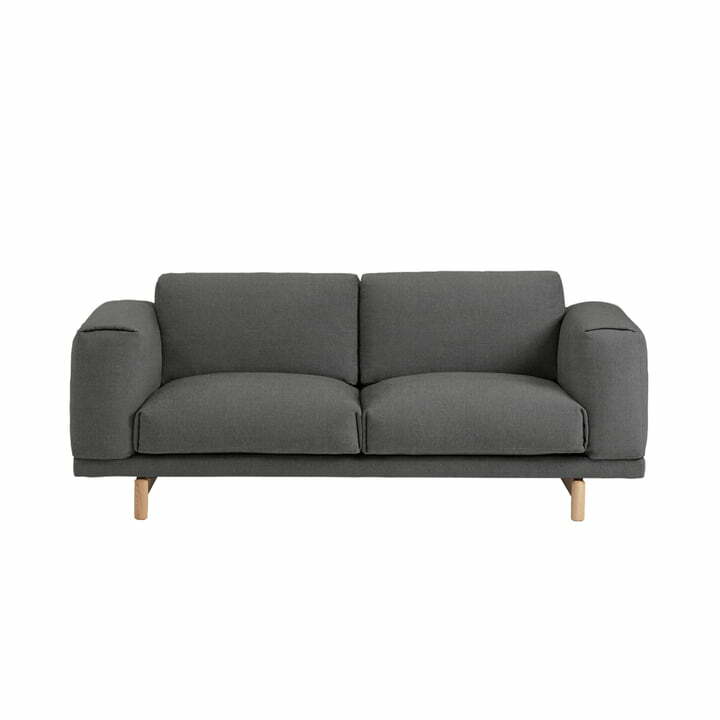 Individual product view of the Rest Studio Sofa 2-seater remix 163 by Muuto. The frame of the Rest Studio Sofa is made of steel, the visible part of the frame consists of natural oak. Ambience image of the Workshop chair along with the Rest Studio Sofa and the Oslo Bench. The soft shapes of the chair blends harmoniously into the home furnishings.